Maison Mumm’s best-selling champagne receives a bold, avant-garde redesign, creating a more modern label to see it into 2019 and beyond. The changes include a transparent front label emblazoned with Mumm’s signature red sash, for a sleek minimalist look; a secondary red sash on the neck (what they call the collerette) of the bottle, in a nod to the vintage designs of their archives; and a font change on the 1827 founding date below that. “The stunning new Cordon Rouge bottle offers a visual reflection of the unique characteristics of Mumm’s champagnes: a blend of energy and intensity, with an enticing hint of freshness,” says Sebastien Mouquet, Managing Director of Pernod Ricard Malaysia, adding “What better way to memorialise this touchstone than to host a series of dazzling parties that challenge preconceived notions of how champagnes should be served and enjoyed,” as Mumm plans to take over W Kuala Lumpur’s WET and SPLASH Sessions at the WET Deck to launch the new bottle at the end of March. Check out the Facebook event page for more details. 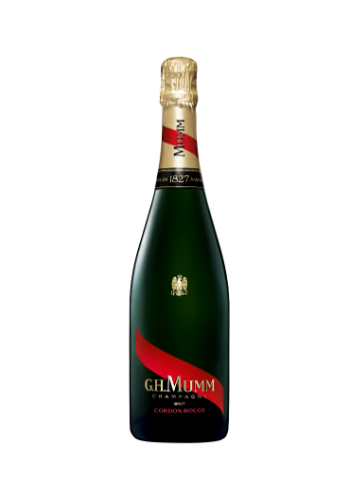 The new GH Mumm Cordon Rouge is available in off-trade outlets now, for gifting and for celebrating.